If you or a loved one are wondering if it’s time to consider long-term care, you might be wondering how you’ll know when to make the move. A Christian community for senior living, Brethren Retirement Community in Greenville, OH, would like to share with you some of the benefits of moving into assisted living early. If you’ve been “on the fence” about becoming part of a retirement community, there are several reasons to make the move sooner rather than later. Sometimes, people struggle with the idea of assisted living facilities because they’re afraid they’ll have to give up their independence. Other times, people may wait to consider skilled nursing facilities or long-term care only when they feel like they have no other choice, usually due to health concerns. But there are so many benefits of being part of a senior living community, and you should know that you have options. People often worry that they will be giving up their independence when they join a senior living community, but the opposite is true. 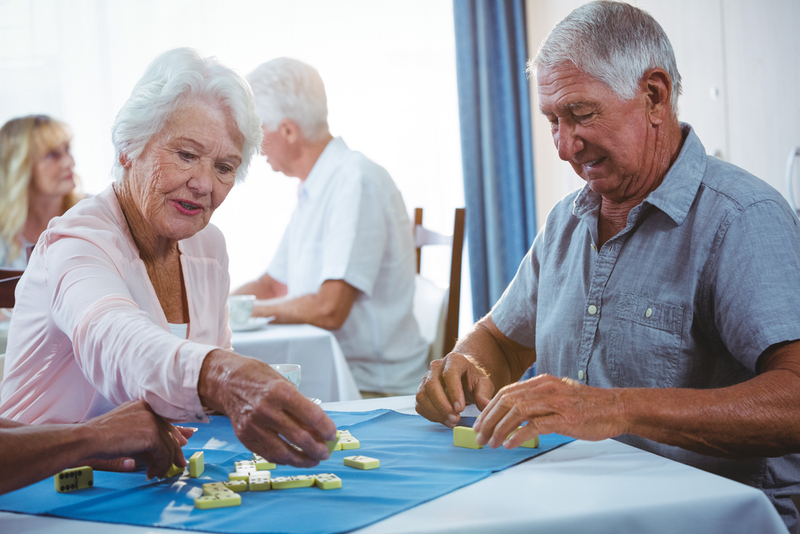 For those who are not quite able to live completely independently, assisted living can keep them safe from events like falls while still allowing them to engage in hobbies, socialization, and other activities that they enjoy. One of the benefits of becoming part of an assisted living community before you absolutely need to due to declining health is getting help with day-to-day tasks that can be taxing. When you’re part of an assisted living community, you’re relieved of the burdens of labor-heavy chores and housekeeping, yard work, and difficult tasks like snow shoveling that can put you at risk for injury. Senior living communities also ensure that you always have access to enough nutritious food to eat. If grocery shopping and meal preparation have become burdensome to you, you may not be getting adequate nutrition at home—which can cause many health problems and worsen others. One of the greatest parts of joining an assisted living community is that you’ll be around other people, many of whom are likely to share your interests and hobbies. You can safely engage in your favorite activities and discover new ones without having to travel somewhere else. As we get older, many of us have difficulty driving. If we are no longer able to drive and can’t rely on public transportation or our friends and family to take us everywhere we’d like to go, we may become socially isolated. This can lead to depression and other health issues. Moving into a retirement home improves not just your day-to-day life but your social life as well. If you’d like to learn more about assisted living, call Brethren Retirement Community today at (937) 547-8000, and visit them online to see all the different types of senior living options they offer.